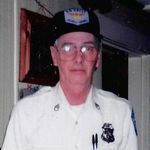 Terrance Dustin Perham June 14, 1937 – December 10, 2018 Terrance Dustin Perham age 81 of Ayer passed away on Monday, December 10, 2018 at Apple Valley Center in Ayer. He was the husband of the late Debra A.
John Stewart Buckley departed this life on December 1, 2018 at his home in Wakefield, MA after a short illness. John was born in Cambridge, Massachusetts on June 21, 1941 and was raised by his maternal uncle and aunt, Dr.
On Your 3rd Anniversary Sadly missed by children.